In 1964, Hector Quintanilla was a captain in charge of the Air Force’s UFO investigation known as Project Blue Book. It would become clear that the mission of that project was to explain UFO sightings rather than actually investigating them. 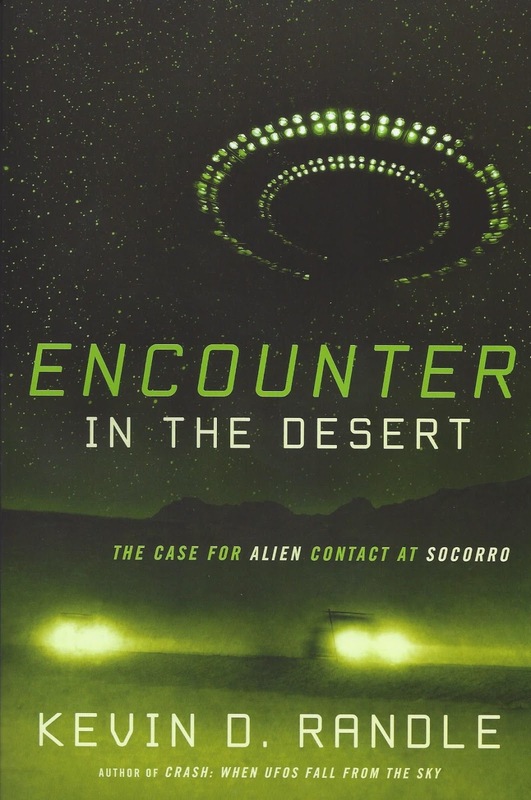 On April 24, there was a sighting in Socorro, New Mexico, by police officer Lonnie Zamora that involved a landed craft and two humanoid creatures. Quintanilla would later write in his memoirs, that this was a sighting that he really wanted to explain. See below for link to the book. But that might not have covered the Lunar Lander. Quintanilla knew that some of the research had been carried out at Wright-Patterson Air Force Base, so when he returned there, he asked to be briefed on those projects. He learned that it wasn’t operational in 1964. That ruled it out, but the Lunar Lander isn’t quite the same thing as the Lunar Surveyor. Is that ruled out as well? The published logs showed some sort of test on April 24, was carried out at White Sands. The trouble here is Richard Holder. 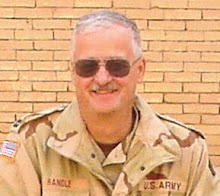 He was the commander of the Stallion Station at White Sands and his duty location, meaning where he actually worked was closer to Socorro than it was to the White Sands Missile Range main complex which is near Alamogordo. Had the answer been that simple, Holder would have known about a test that had left the range for whatever reason, or he could have learned about it with a few telephone calls. Such information would have been in his report written early on the morning of April 25 after his interview with Zamora but nothing like that is mentioned. Holder was as puzzled as the rest of them. Skeptics will say that Ockham’s Razor eliminates alien visitation because any explanation that requires the invention of interstellar flight is not a simple explanation. The terrestrial answers are simpler because there isn’t that requirement. But Ockham’s Razor also mentions something about covering all the facts, not just those that are convenient for an explanation. Quintanilla, after all the work he had done, all the explanations he had tried, and all the experimental aircraft and space craft he reviewed, and after all the letters he had written to various governmental agencies and defense contractors who might have has something going on, came up empty. Something that's always stuck in my mind is the object taking off with an orange, blue flame underneath. That description closely resembles a description of a jet engine flame, you know, something that burns fuel. It even was roaring like a jet engine. In my mind that makes the likelihood that it was a terrestrial craft pretty strong. And, given the object's reported size, it couldn't have carried enough fuel to lift it out of Earth orbit and into space. I wonder the same thing about this case that I do about the Cash-Landrum case -- that is, if the object encountered was an early design being tested by a civilian corporation, so there are no military/government records of it. And, if it was a civilian prototype Zamora saw, Quintanilla would never have run across it in any hangar on any military base, especially if the design was abandoned and never given to the military for field testing. Soccoro probably will always remain unsolved, not because it's ET or an anomalistic event but because the information that would solve it isn't and will never be in the public domain. It's held by a private sector corporation, if it even still exists after 50+ years. One has to wonder that if the Socorro craft was indeed alien in nature, and it was able to take off after sitting on the ground. Could the AF have a radar track of it (if so classified of course.) Given the ability of the AF to track objects high in the atmosphere, no doubt the AF would have the ability to track unknown craft and determine their trajectory and follow their flight path. Of course then, at some point the AF would have figured out where these UFO craft were going to. Assuming they did, such results would be kept classified. How many times are images, movies, and radar tapes taken away by the NSA or whatever agency. They would argue classified due to sources and methods. So even if the AF had proof of alien visitation, it could not be released due to a myriad of classified reasons. Anything classified would not be part of the Blue Book system. Therefore, the best one could ever find out of Blue Book is "unidentified." Tests of the soil samples collected that night by Holder and given to Hynek for analysis showed no signs of any sort of chemical accelerent. According to Holder, there was no operational radar in the area at the time of the sighting. White Sands had been shut down. All of this is covered in the book, and I thank both of you for providing the opportunity to say that. I recall someone, and I wish I could remember who, that said when we encounter extraterrestrials that they are more likely to be a little gray boxes that little green men. I wonder if this example, along with Levelland, might be a case of little gray boxes. Were casts ever made of the reported footprints? If so, what happened to them? 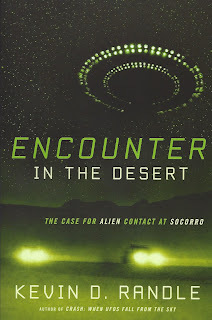 ISTR the recreation of the incident on both Unsolved Mysteries and UFO Hunters, and in the former, Holder was interviewed. One also got the impression from the former as well that, given the witness was a law enforcement officer, the landing site was treated like a crime scene. Was that actually the case? If the AF had proof of alien visitation at Socorro (or Roswell, etc), do you really think it would STILL be classified, after 70 years? There comes a time when commonsense has to take over. This event would constitute probably the most important scientific discovery of all time, yet you are saying that only a few officials at the top of the US military would know the 'great secret', and keep it under wraps. A preposterous notion, but one that has been prevalent in ufology more or less from its inception in 1947. The idea that there are "a myriad of classified reasons" is nonsense. Holder, in his field notes, has the footprints drawn out as found on the landing site where Lonnie Zamora spotted the 'things in white coveralls'.The creature apparently took 5 steps before spotting Lonnie and looking 'startled'. A later FOIA request, came back calling the craft a 'vehicle'. There is no Earthly explanation for an egg shaped craft, especially with a ground penetrating, non propellant blue orange flame, lifting it off of the ground, THEN going silent, as another possible engine engaged. Tony Angiola's and my investigation uncovered, thru Ray Stanford, a video of Dr. Hynek ADMITTING that the film Ted Jordan took, just after the event, was fogged by radiation. We agree with Kevin that this was nothing made on Earth, I just cannot say what is actually was and where it came from, but ET is a possibility. The burden is on proving it is man made, and our investigation, as Kevins book points out, exhausted every Earthly possibility. The Joint Chief of Staff, White House, FBI and CIA all wanted an answer that never came. We are still investigating the case. "...Skeptics will say that Ockham’s Razor eliminates alien visitation because any explanation that requires the invention of interstellar flight is not a simple explanation...."
Ockham’s Razor is incapable of eliminating anything. Interstellar flight isn't necessary for a craft to be of alien origin, unless that's the definition of 'alien', and no one is in a position to show that is a -fact-. No one can say what secrets may still be hidden, even after 70 years. Ben: was the site treated like a crime scene? One would have had that impression with all the lawmen who responded to the call. And has there been any verification that Sgt. Sam Chavez (NM State Trooper) actually saw the craft leaving? There's been talk that he did, but he never said publicly, whether in books or on the Unsolved Mysteries show. are of interest to some advanced intelligence. This has become an open secret. One individual in an Army Division G-2 office told me candidly that neither we nor our children will ever have a security clearance high enough to know the "full story." Most people who have talked know only bits and pieces. Those who know the full story will not talk. Secrets are kept all the time, and yes, some are most certainly over 70 years old! As a retired military intelligence warrant officer, I would agree that any relevant intelligence/information regarding the UFO phenomena is highly compartmentalized and that many secrets remain hidden for decades on many different topics as a result. I am of the opinion (strictly that, no first hand knowledge) that a lot of information regarding UFOs has been released to the public as part of a disinformation campaign and separating the truth, half truth and outright lies is where the challenge lies. 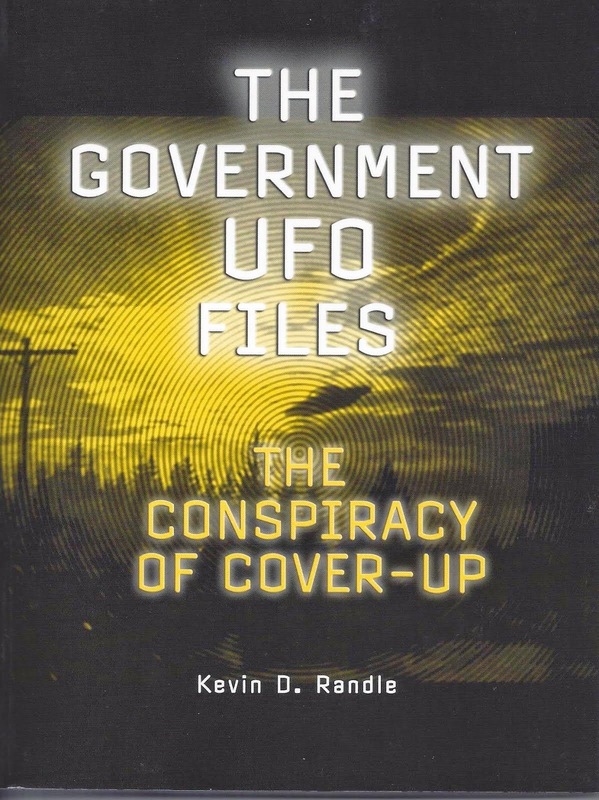 It’s entirely possible too, that most of the information regarding UFOs is really in the hands of the private contractor sector and that very few people within government today, have that much access to the information. To those who suggest that the private sector has a covert secret space program with superior advanced technology, I find it hard to believe that the technology would not be exploited and revealed in advanced military aircraft and already used in war. Reverse engineering has to be painfully slow. Finally given the fact that we have a plethora of intelligence agencies and functions (almost every major department in government, some as innocuous as the Dept of Agriculture has an intelligence component [first hand knowledge here]) part of the issue may be simply the fact that because of compartmentalization and interagency turf wars, the government simply doesn’t know what it knows. In the end the answer might be quite that simple. "Those who know the full story will not talk". Let me put this to you: if perchance a genuine ET craft did land or crash in the USA and the hardware and its occupants were captured by the military, do you really suppose they would hush it all up forever? The obvious risk is that if the crash took place once, it could easily happen again somewhere else, in China or Russia. Now do you see the danger? If the USA tried to keep it all top secret they would be at high risk of the secret getting out elsewhere. This would cause the US considerable embarrassment through not being first with the news of a sensational scientific discovery. No I don't have or need any TS/SCI security clearance. Plain commonsense tells me that the scenario you have described is impossible. Yes SOME secrets can be kept. But one of this nature? Not a ghost of a chance. If you go by all the words written on the subject, some of those who knew "the full story" have spoken out long ago anyway. The trouble is that the scientific world, with good reason, does not believe their "story". Chavez got there in time to see the craft departing towards the Perlite area, but many of the other officers told Ray Stanford that they had seen the craft at other times, including another landing near the reservoir, but because they hated the military and the way Lonnie was treated they never publicly mentioned this. 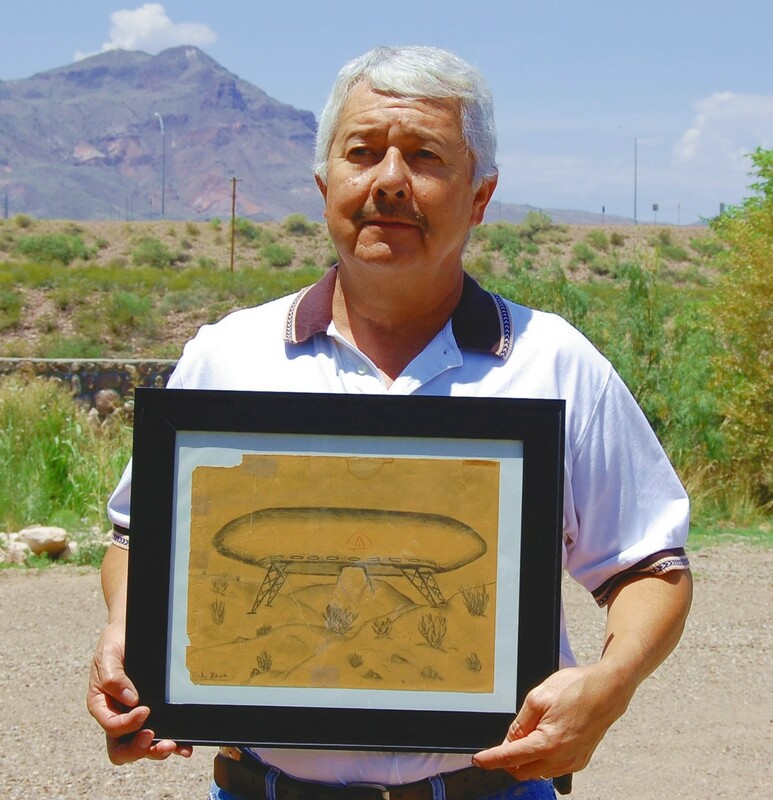 There was also an egg shaped craft that landed at Holloman AF Base, as pointed out in Kevin's book. About 10 visual witnesses are mentioned, the car of 5 at Opal Grinders gas station, the 3 separate calls to the police reporting an object and blue flame heading towards Socorro BEFORE Lonnie took off after it, and the two gentlemen in a car heading on a road that paralleled the exit of the craft. This is one of the best and most evidential Close Encounters of the Third Kind. As I’ve said before, proof of ET wouldn’t be a merely scientific or ACADEMIC matter. In numerous ways hard to predict, it could adversely affect present society. Panic, even social disintegration are possible. Friedman believes the nation state would be at risk. The “considerable embarrassment” of not being the first to announce ET is far outweighed by the likely mayhem. All countries have a strong incentive to maintain secrecy. Nobody wants to open a Pandora’s box. "If perchance" a genuine ET craft did land or crash in the USA do you really suppose "they" would hush it all up forever? Plain commonsense tells me that the scenario you have described is quite likely. Yes SOME secrets can be kept. But one of this nature? Almost certainly. You clearly have a different perspective to me on such things as ET landings and crashes. This is good news since Kevin's site is called "A Different Perspective". It would be highly dull and boring if we all has the same perspective, wouldn't it? I've been down with heart problems, but I'm much better now. I was revisiting the sites I hadn't been able to while ill and found this discussion on Socorro. As outlandish as it may seem, the "Bean" mentioned below might tie all the facts together. I know Kevin thinks this is all BS but the rest of you might benefit by taking another look. A while back I read a curious little book entitled Flying Saucers — Key to Creation? by a “George H. Eastland”. 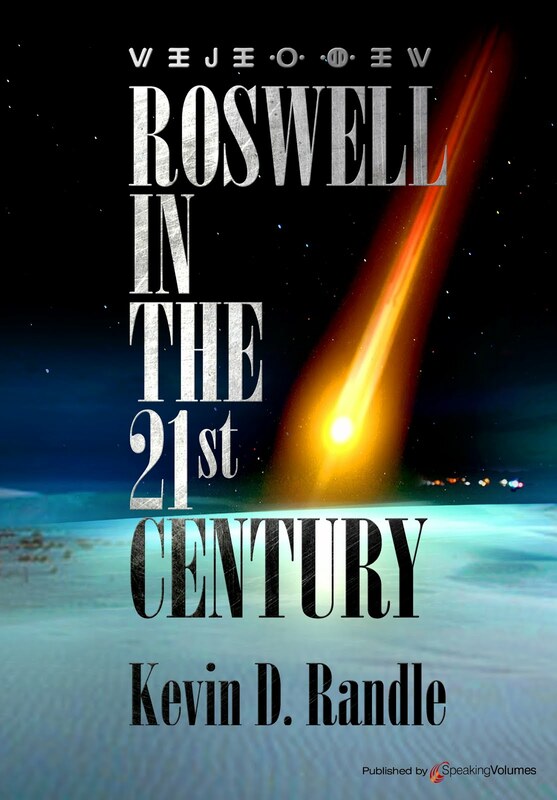 Despite the title, there’s no channeling, contactee lore or New Age blather. Instead, this gentleman seems to be an old aerospace engineer who’s seen a few things and thought long and hard about them. Very nuts and bolts type of guy, but with a surprising amount of insightful and intelligent speculation about the various ways flying saucers could work. Hi Ed. Interesting article, but there are many flaws as to why this is not the solution. First, if these guys could have built an egg shaped craft that could carry 2 people, there would be some record of how it was built, since there has never been an official egg shaped craft built by any human that could carry 2 people. The design mentioned here would not have enough thrust, nor any steering. The 2 things seen by Lonnie were the size of a 10 year old child. After rising up, the main blue orange flame cut off, and it hovered silently, way beyond any tech described in this 'tall tale'. The craft accelerated to a great speed and took of for miles, again not something available tech wise at this point. There was radiation, the imprints were made by about a 9 ton object, and the blue flame was not propellant driven. No need to go further, as this is just another story, probably fiction, just like the student hoax 'hoax'. I doubt that they could have fooled Blue Book, the Air Force, the FBI and CIA, all who looked into the case, yet it is still classified as an unknown.